Kreative Jewels: Ready for a Few More Cards? 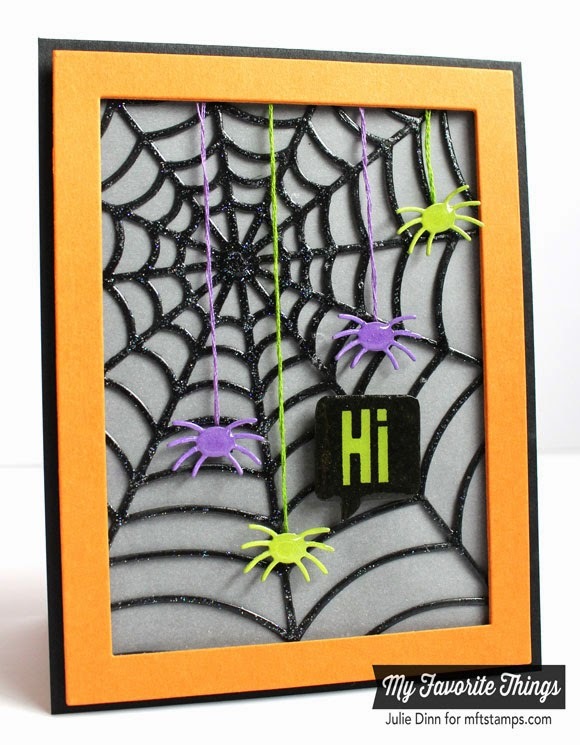 My first card features the new Spider Web Cover-Up Die-namics. I die-cut the spider web in Black Licorice and I covered it with a thick layer of Sheer Sparkle Glitter Glaze. Once the web was dry, I adhered it to a piece of Translucent Vellum. The colourful spiders were hung with color coordinated DMC floss. I hid the top of the string with the Rectangle Frame. I popped up the vellum with the 3D Creative Sheets before adhering it to the card base. 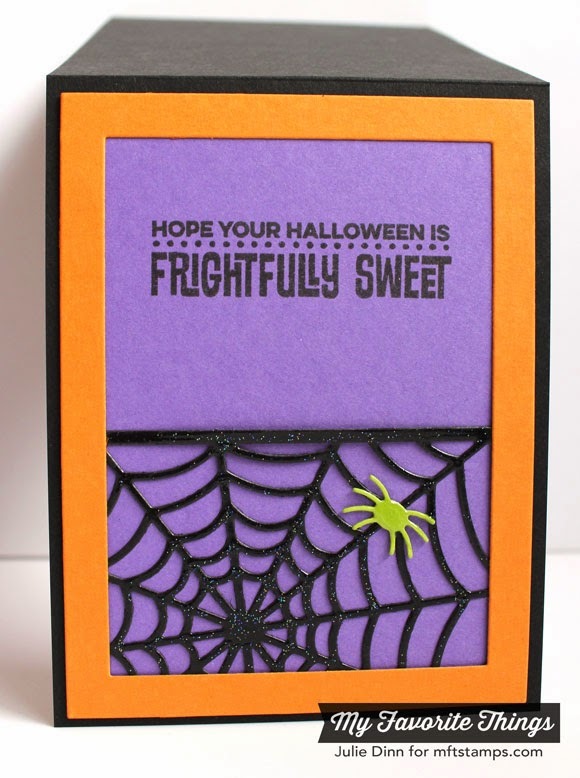 The fun sentiments on the card are both from the Spooky Sentiments stamp set. There are so many fun sentiments in this set! My second card is FULL of new release stamps and dies! I stamped the Eye Chart in Chocolate Brown Hybrid Ink on Kraft card stock. The eye chart was die-cut with one of the dies from Blueprints 1. I used Blueprints 18 to create the background pieces. The top part was stamped with the Star Background and the bottom was stamped with the Spotlight Sentiments. The stars are all from the Blueprints 18 Die-namics. They were die-cut in Chocolate Brown and Berrylicious card stock. I applied a thin layer of Sheer Sparkle Glitter Glaze over the top to give them that little shine. Thank you all so much for joining us this past week. I hope you are feeling inspired to create something crafty. Be sure to check out the MFT Blog for even more inspiration! I know the Design Team has some amazing things in store for you! More wonderful cards! I love how the first one has those dangling spiders! Julie.. what are you going to do with all of these halloween creations? Do you give them to your favorite trick or treaters? Great cards....have loved this release! 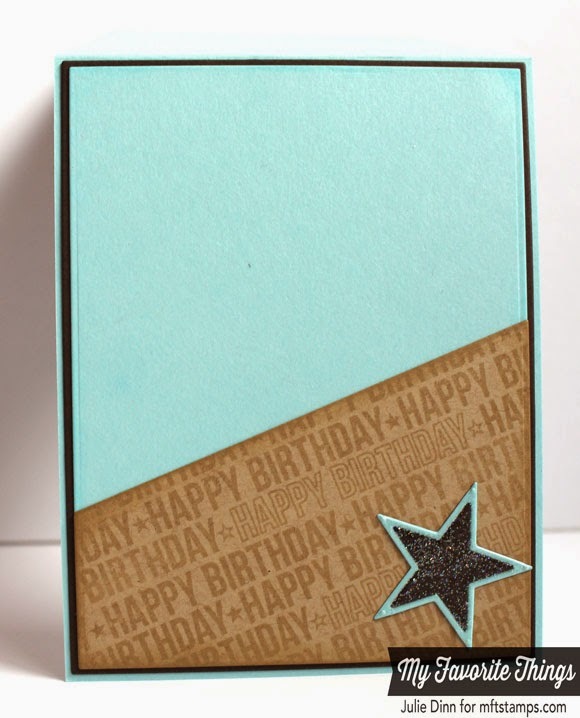 Love the color combo on your 2nd card, so pretty! 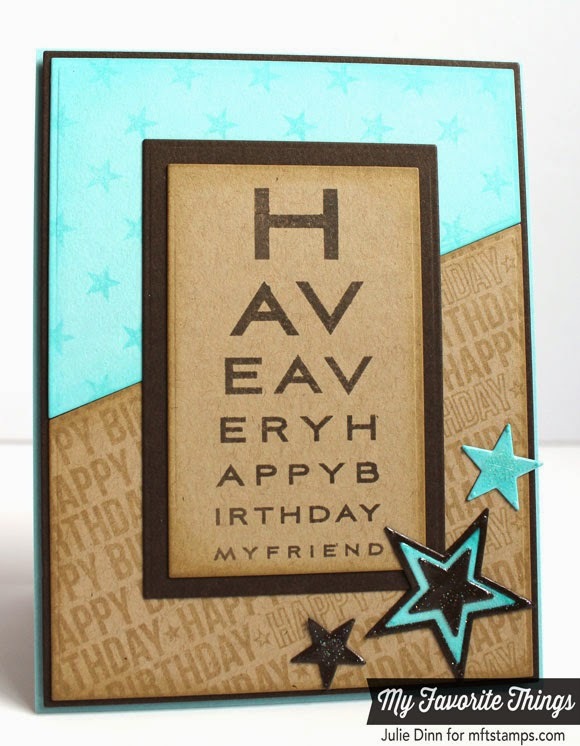 I'm loving both cards but the eye chart is my fav. The color palette, layout and stamp choices just work perfectly together!